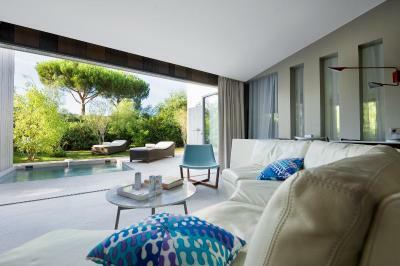 Lock in a great price for Sezz Saint-Tropez - rated 9.3 by recent guests. Great hospitality. The staff was very nice and helpful. The villa was clean and well kept. They went out of their way to get me some breakfast when I had to head out really early for an event. Check in and check out was very smooth. All staff were lovely - pool bar & concierge deserve a special mention. Lovely setting, beautifuly kept grounds and vegetation. Good design & stunning pool area, comfy loungers, good drinks. Bikes are always are a nice touch. The staff was so attentive and the service impeccable. I have been twice this summer and could have not been treated any better. They went the extra mile for me and my partner making his bday one to rememeber. The free shuttle. Kind of people who live at Sezz. Very nice large bathroom indoor and outdoor. 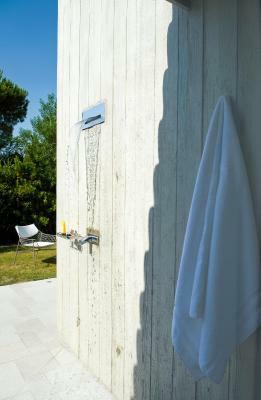 The outdoor showers, the pool, the majority of the staff were incredible and polite! The hotel understood our inconvenience and let us go after two days without penalty charges. My comment goes to The amazing concierge team! They did the biggest efforts to help me during the stay! 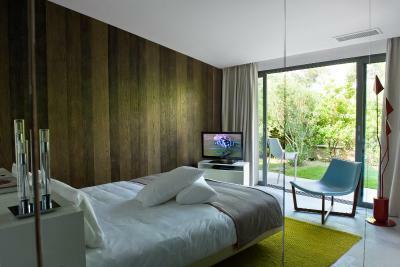 And of course: rooms are beautiful, hotel is beautiful... very close to the village. Amazing hotel! Everything was perfect. For sure will repeat. 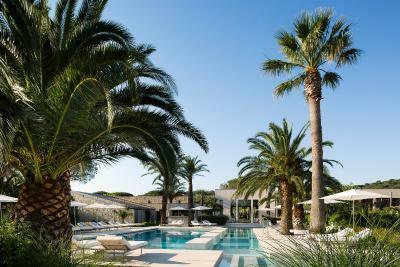 Boasting a modern outdoor swimming pool, Sezz Saint-Tropez is a 5-star design hotel is located 200 yards from Saint-Tropez’s beach and a 5-minute drive from the town centre. There is also a spa with a hammam. 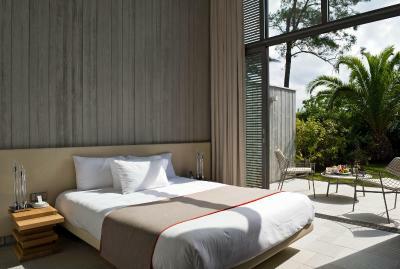 The luxury guest rooms at Sezz Saint-Tropez feature curved ceilings and large windows leading onto a private patio. Each also has an outdoor shower. 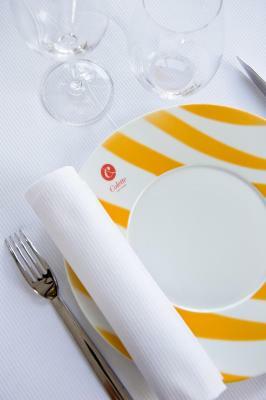 Restaurant Colette offers a wide selection of meat and fish cooked on a wood fire grill and served on the outdoor terrace. Dom Pérignon Bar also looks over the pool and offers champagne and the latest cocktails. 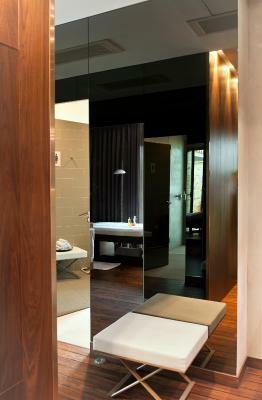 Guests can relax in Payot Spa which offers a range of facials, massage and body treatments. Additional facilities include a free shuttle service to the beaches including Pampelonne, 1.9 miles away. Charging stations for electric cars are available at this property. Private secured parking is available free of charge. 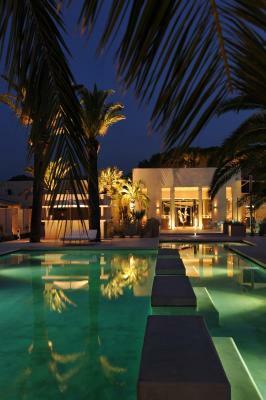 Sezz Saint-Tropez has been welcoming Booking.com guests since 22 Jul 2010. When would you like to stay at Sezz Saint-Tropez? All accommodation features large windows with direct access onto the patio. 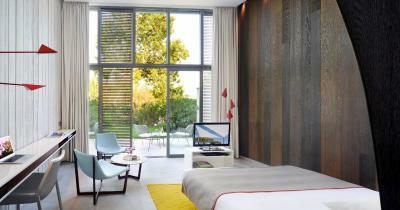 All accommodation features large windows with direct access onto the patio. It also includes a Nespresso coffee machine. 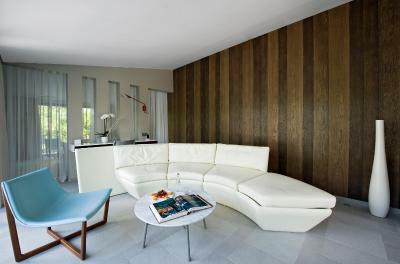 This 2-bedroom suite has a seating area, 2 bathrooms, iPod dock and satellite TV. It also includes a Nespresso coffee machine. 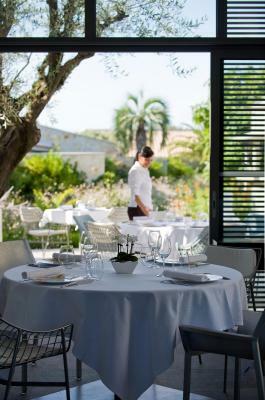 The Sezz Saint-Tropez, 5***** boutique hotel, subtly combines charm and design exalting the special feeling of being elsewhere. 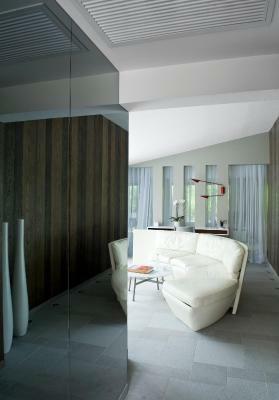 The contemporary design experience by Christophe Pillet is amplified through the use of the highest quality materials including Boffi sinks, Porro furniture, Mazzega lighting and Acqua di Parma products. House rules Sezz Saint-Tropez takes special requests - add in the next step! 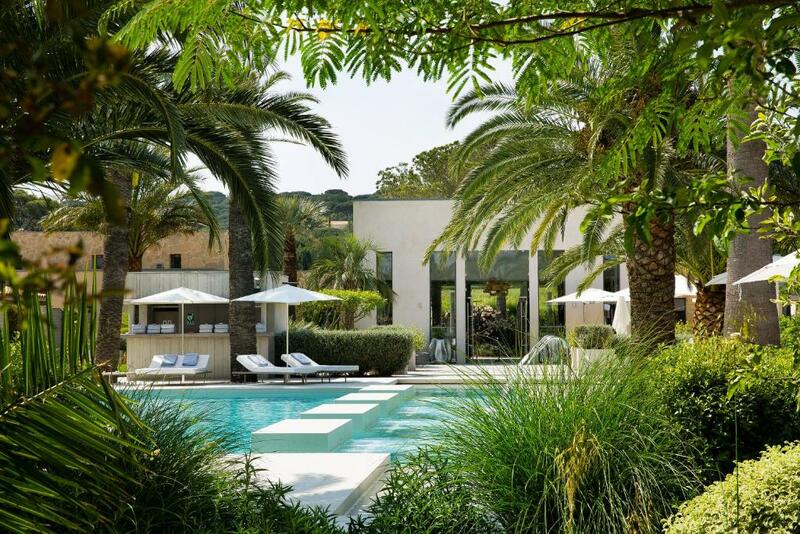 Sezz Saint-Tropez accepts these cards and reserves the right to temporarily hold an amount prior to arrival. Please note that the credit card used for the reservation must be provided at check-in. 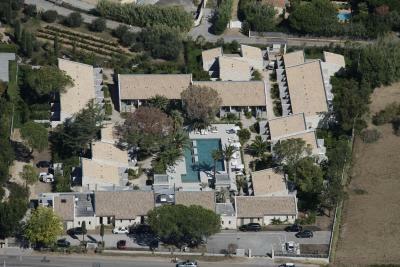 The location: close to the commercial area and port of St Tropez, yet on a quiet road away from the density of the town. 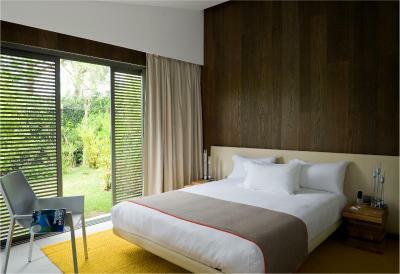 Also loved the uniqueness of the room’s design, the large outdoor shower, the walled private patio, the ultra-comfy bedding. 40,€ für ein petit dejeuner ( mein Mann brachte mir einen Cafe in unsere Zimmer , mit Zucker, und sonst nichts ) zu berechnen, ist einfach ohne Worte ! Schade.... so eine Bagatelle. I did mention that it was my girlfriend's birthday during our stay. In fact, that was the reason for staying at the hotel. The birthday was not acknowledged. I am certain this was a rare oversight. The BEST staff in my 12 years as a traveler and luxury hotel consultant. Their shuttle was so convenient and made the location perfect. Food was amazing. The pool was like a bath. The room was my favorite of any hotel thanks to the outdoor space and outdoor shower. 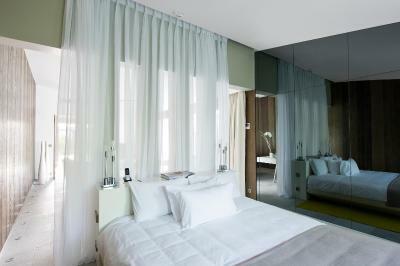 Stunning hotel, with very comfortable rooms. 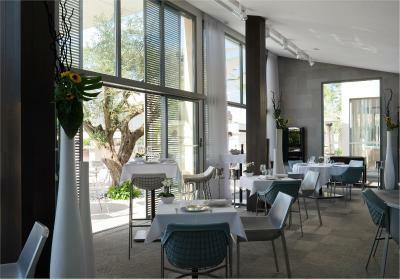 The service was exceptional and Maxime was a wonderful Concierge with the best recommendations. One thing they might need to improve is wifi. If you have business travelers the wifi is slow to a point where it gets frustrating. It's not a major issue but we were on a business trip so that's something you notice. Overpriced breakfast - (bread and butter expetional), would expect better selection of juices, smoothies, milk alternatives & hot food. Room- too dark, small bed, impractical bathroom (make up). 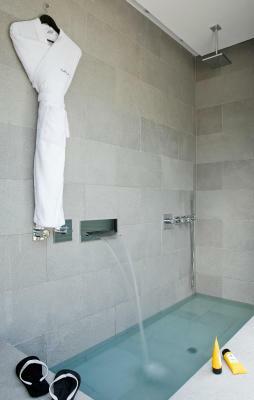 Outdoor shower - personally I think it was a waste of space, would rather have a couple of loungers or a hammock. Only stayed one night but was starting to feel a little claustrophobic already as grounds very small and everything is centered around the pool. Location of the bathroom chair. Access corridors for rooms make the shoes dirty. That I was sitting alone at the pool bar one evening, ready to go out, waiting for my friends and the bar man gave me my bill before I had asked for it or was ready to leave... so I felt like I was being asked to go away, so I felt unwelcome, which I felt that as a residential guest in a hotel it was extremely impertinent on behalf of the bar man and bad service. These place looked good in the pictures but that was it. The staff was really unprofessional and looked straight out of college. There was no real person in charge. On entering the cabin I was amazed to find a bed, the size of which I had not seen since my student days (1.50m width for 2 people). I complained to the hapless assistant of an assistant, since there was no manager in site and they replied that this was the only size bed they had! (we are talking about a very expensive 5*). 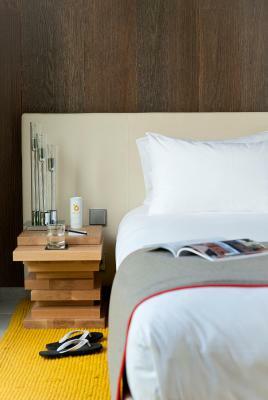 The room was very much designed to impress with its minimalist credentials with inadequate storage or practicality. The breakfast was very poor and on the ration side with most items missing. They were replaced in small quantities, in dribs and drabs, by high school age staff. I do not understand, as someone who frequents 5* properties around Europe, how this place has been rated 5* and it is allowed to charge as it does. I am really cross with booking.com for not alerting me to its great shortfalls.